I've had four 7-Series and two of them have had awful wind noise from the front area of the car. My 735i was the worst and I only managed to 'cure' the problem the day before I traded it in. My present 740i also has wind noise but at a much lower level. The two cars had two different causes of the noise. 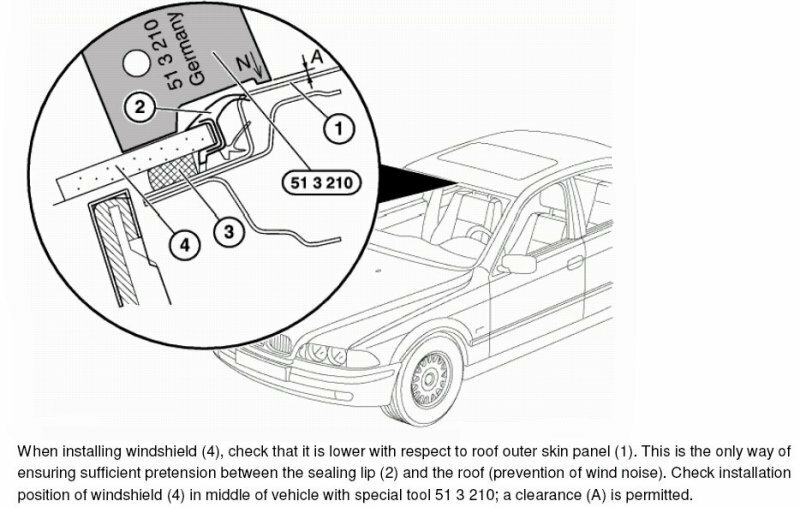 1998 735i: I tried the usual culprit which was to adjust the sunroof, but that made no difference at all. Fortunately I learned the easy way to find where the noise comes from and that is to use 2" wide masking-tape to cover up the likely causes. Putting masking tape over the gaps between the sunroof and the roof made a small amount of difference but not much. The biggest difference was made when I covered from the top of the windscreen to the roof over the upper windscreen rubber trim. This is quite a common problem and I have heard of many instances, even on screens that have been replaced by BMW. The gap is the cause of the wind noise and the 'proper' cure is to replace the windscreen properly. The windscreen rarely (if ever) survives being taken back out and then reset. However, when needs must I don't mind finding less 'proper' fixes. The fix for this was to push the trim piece as far back as possible so that it reaches the roof correctly leaving a gap between the trim and the windscreen. If the trim keeps slipping back hold it in place with masking tape. Fill the gap between the windscreen and trim with clear silicone sealant. Remove the masking tape after a few hours and refill any small gaps. It is important to fill between the trim and windscreen and not to try and fill between the roof and trim as this will block the sunroof drains. The result of this fix was an amazing drop in wind noise, it was a shame that I left it so late to fix it! 2000 740i: Using the test of masking various areas of the front of the car the source of the noise was pretty obvious, it was the moonroof which was a standard fitment on the late E38 740i's. 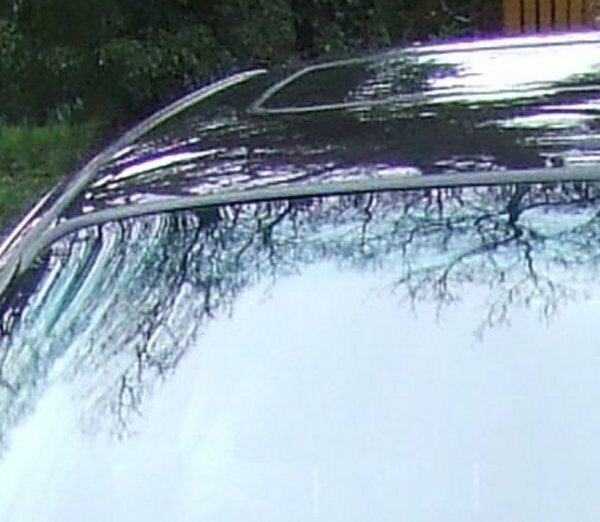 A moonroof is adjusted in a different way to a steel sunroof. Click here for the full procedure. Unfortunately, although this reduced the noise quite considerably it didn't reduce it as much as I hoped. After speaking to a number of owners of late E38's that have moonroofs fitted, this is quite common, they are noisier than sunroofs. I may try replacing the moonroof gasket but it looks in pretty good condition.